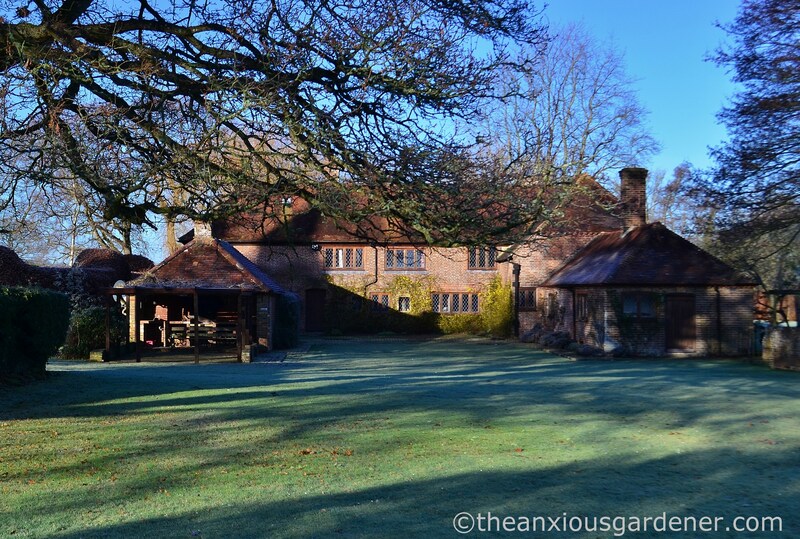 We’ve had no snowfall yet at The Priory but we have had plenty of the next best thing: hard frosts under bright, blue skies. 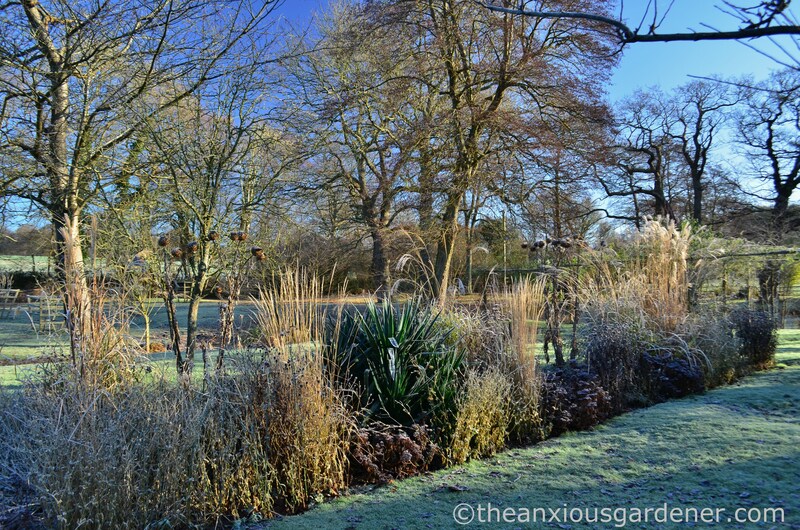 On one of those sharp, sunny mornings last week, I grabbed my camera and strolled about the garden. 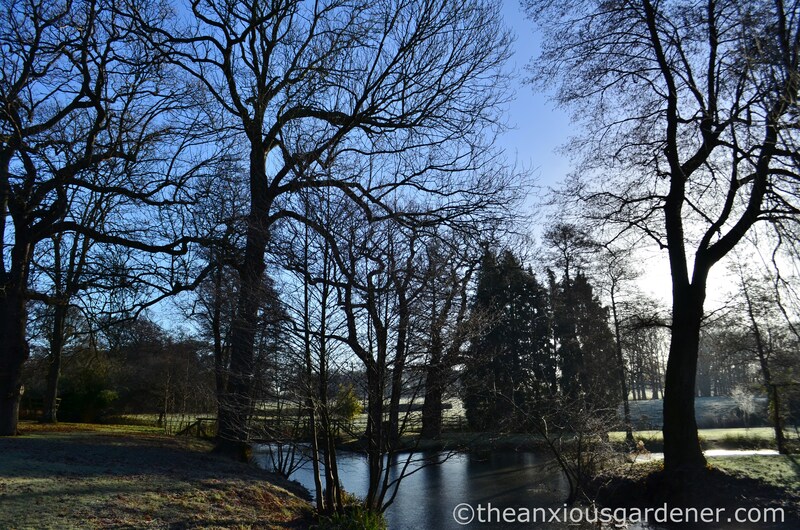 Here are a handful of images which might show why The Priory is so special to me, even in winter. 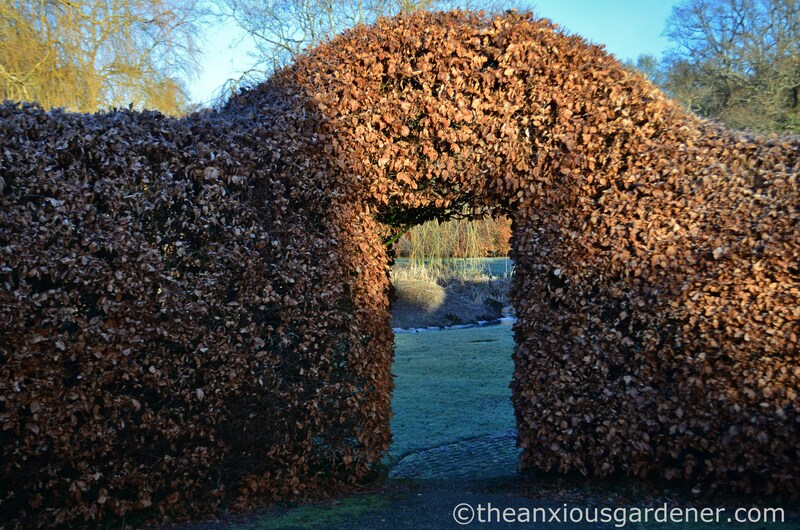 The last time I took you on a tour of The Priory gardens (see – ‘A Garden Tour: The Priory in July’) I started through the incomplete beech arch onto the east lawn. This time I’ll go through the main arch (above) leading to the front door. No I won’t – I’ve changed my mind. I’ll pass instead under the second of the three arches – minding my step on the murderously slippy brick paving – through to the west lawn . 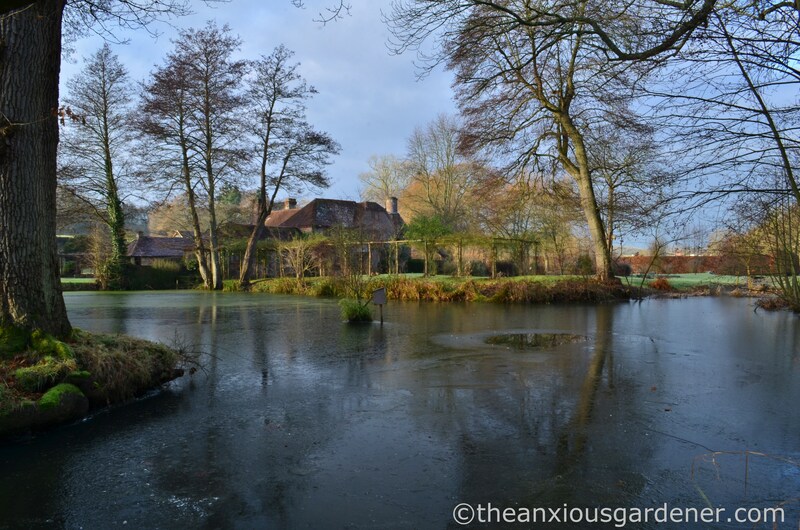 It hasn’t rained much recently (for Sussex, for January) and the water level on the west pond is low. Despite sustained wasp attacks during my autumnal strimming schedule, I eventually completed all the cutting back, including on the island. But the task was not without mishap. One mishap happened as I gingerly crossed to the island through the muddy water. (The pond was just shallow enough for me to cross without boat nor waders … or so I thought). 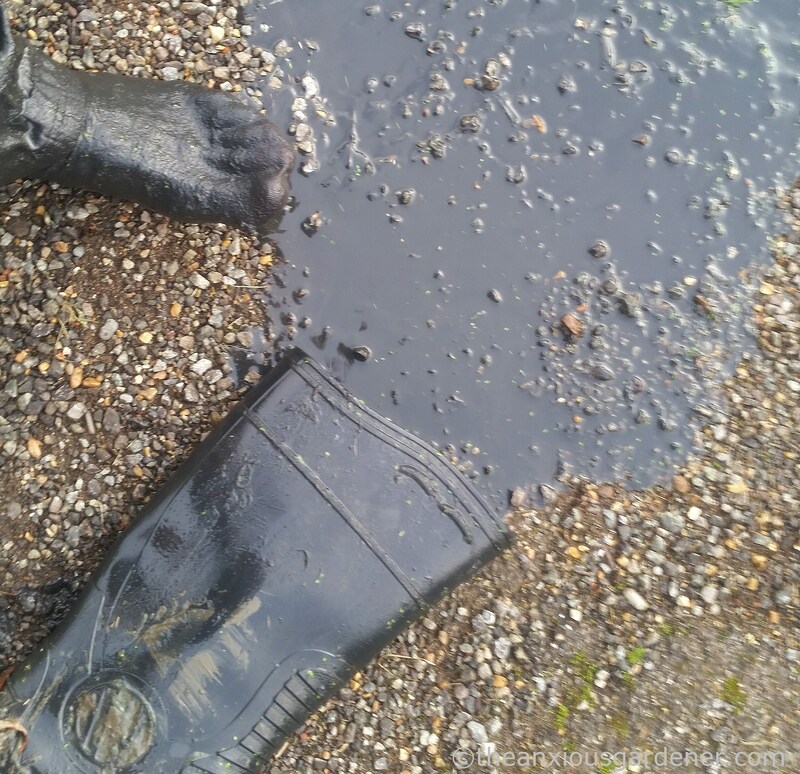 Stinky pond water in my Wellington boot is not a favourite thing. Wet stinky pond socks aren’t either, especially with no spares. Another mishap was strimming yet another bloody wasp nest. As I finished strimming the island, I glimpsed a scarily familiar eruption from the base of the island’s weeping willow. 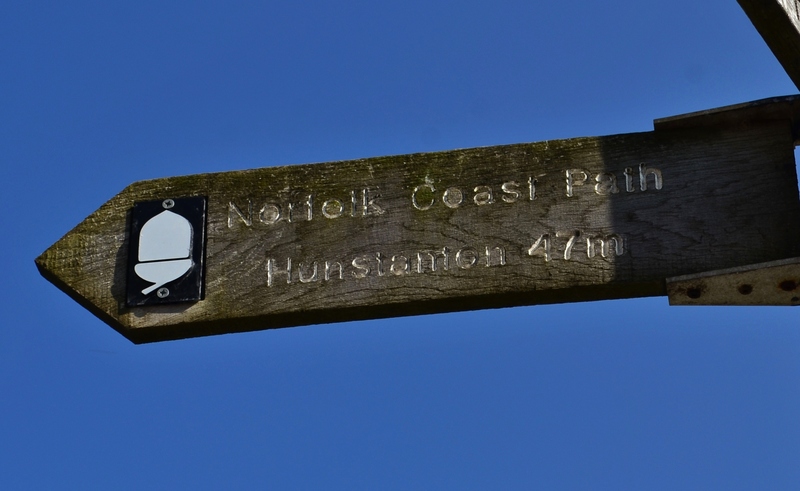 And as usual, and well practised, I immediately dropped all my gear and ran away squealing – if unstung – returning only much later to collect my strimmer and helmet when the wasps were a little less excitable. (This wasn’t the only wasp nest I upset after my recent waspish post. A second, on the banks of the other pond, rewarded me with an ankle sting before I even noticed my peril. After that I gave up strimming completely until we’d had several -5°C nights. I mean, enough is enough. Strimming five wasp nests with a six-sting-payback is outrageous bad luck after not hitting one nest in the previous seven years). Near the west pond, the long borders are looking surprisingly good. 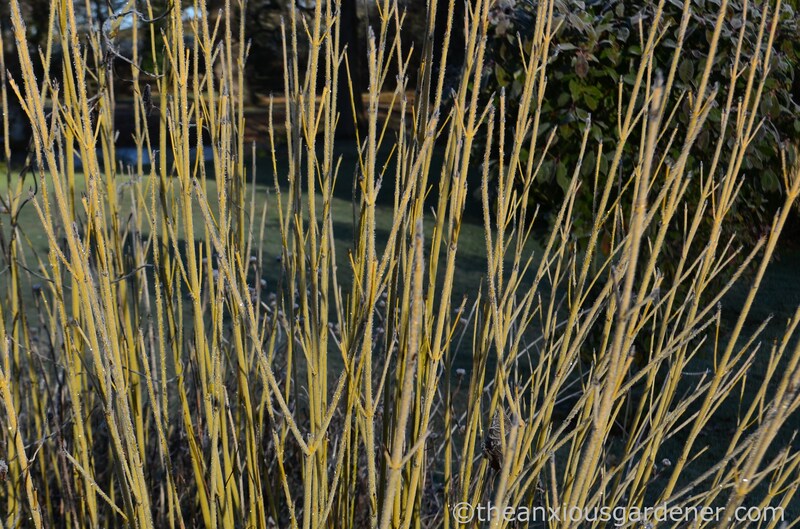 I say surprisingly because I hadn’t particularly planned them as a winter feature; and because however many photos I admire of tall, stately winter plants, glistening in low sunshine, mine are almost always hammered to a brown, squishy goo by heavy English rain. But this year, our dry winter paid an unexpected dividend. with more on Verbena bonariensis. nor are the tops of cold frames. Guests were staying in the house over Christmas and New Year but now they’ve gone, leaving The Priory quiet and empty once more. 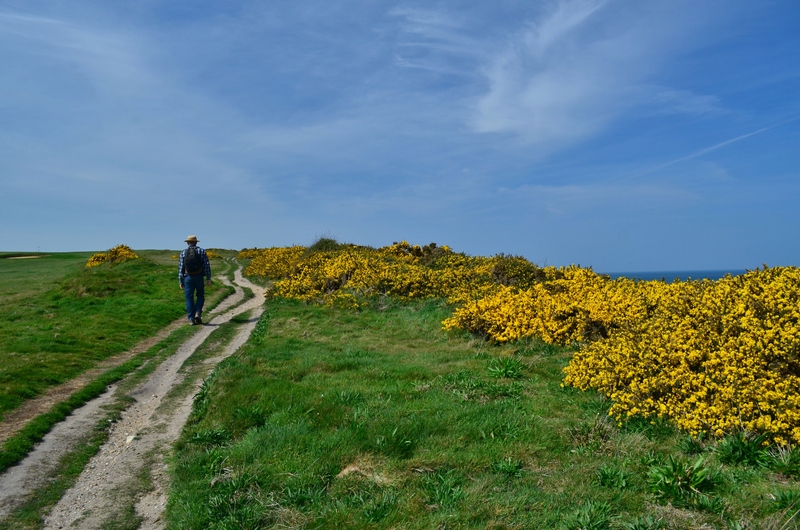 It is what I am used to and what I like: alone again in a corner of England I know better than anywhere. to arrive on the east lawn and the back of the house clothed in winter jasmine flowers. 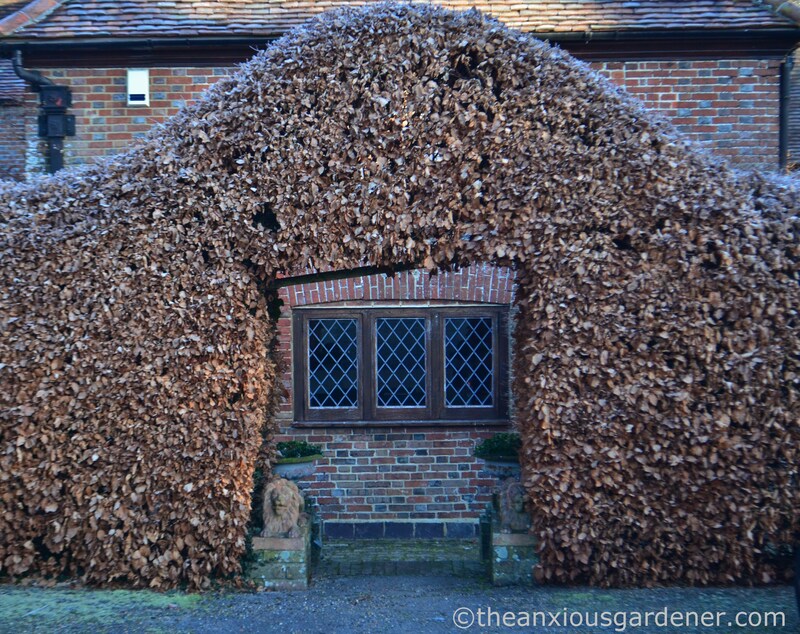 I cut the Jasminum nudiflorum to ground level about three years ago – for emergency damp proofing of the walls – but it has grown back and one day will swathe the brick to the first floor windows again. 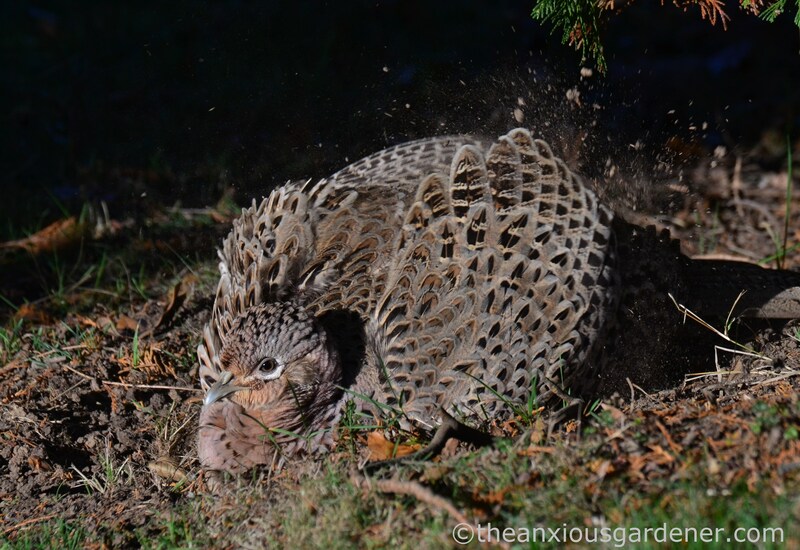 As I approached the greenhouses, I noticed a hen pheasant under a conifer, enjoying the almost warm sun and taking a dust bath. Male pheasants shout out for admiration but the female is a beauty too, if a modest one. 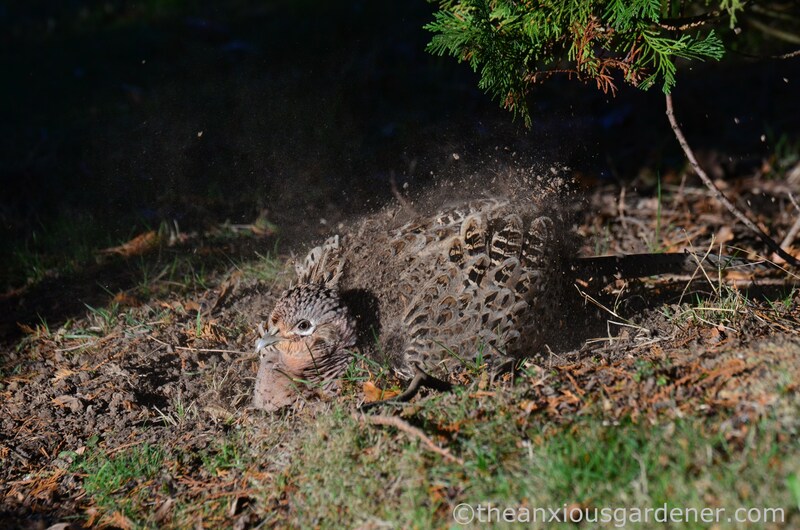 Her dust bathing forms a shallow depression in the soil, one of several such bowls dotted about the gardens. 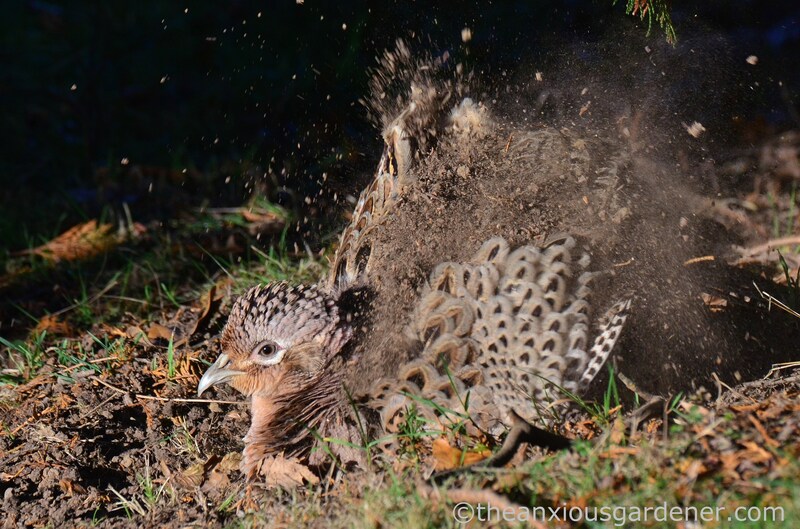 In the summer pheasants made dust baths in the veg beds, carelessly obliterating row upon row of spring onion and salad seedlings. How I chortled. 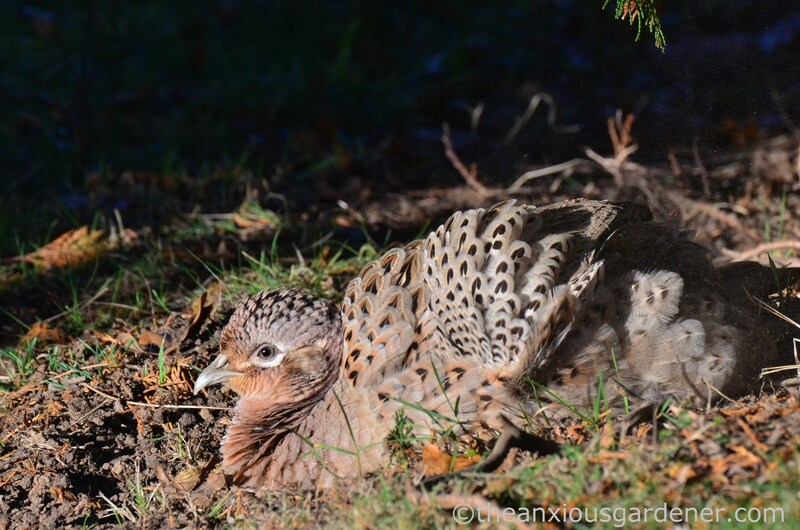 There are a handful of resident pheasant in the garden, held close by the regular falling of food from the five bird-feeders. Some are almost tame and show no real fear of me unless I overstep an invisible but surprisingly intimate red line … or I angrily wave my arms at ruined seedlings. Beyond the garden lies shotgun Armageddon and the crash of guns is a common, if unwelcome, soundtrack to January. Stay here pheasant. Here is good, here is safe. My garden walk completed, I fetched the wheelbarrow to continue unending leaf raking and later, I cut back border plants turned to slimy heaps rather than graceful Piet Oudolf-y elegance. Not much Sussex rain maybe but I still have an embarrassment of brown, squishy goo. 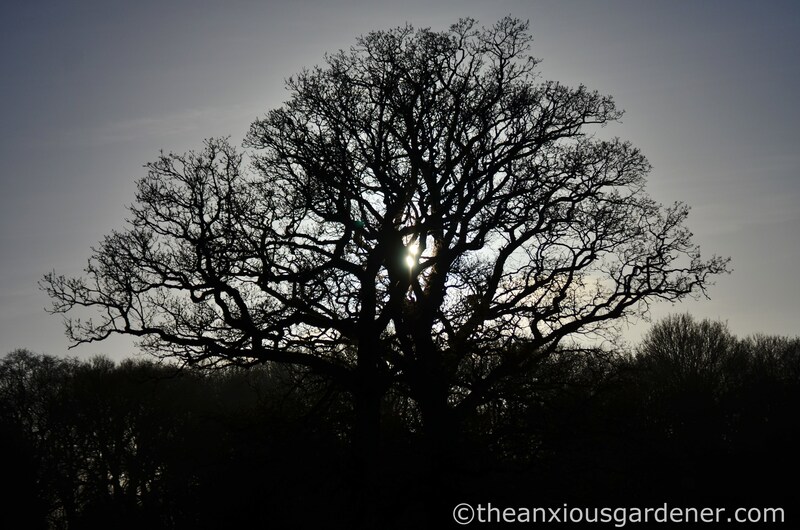 Your site has inspired me and although I cannot begin to compete with The Anxious, (especially your photos) I have started my own blog: https://thegardengateisopen.blog/. The National Garden Scheme celebrates 90 years of opening gardens and combines the joy of garden visiting with charity. 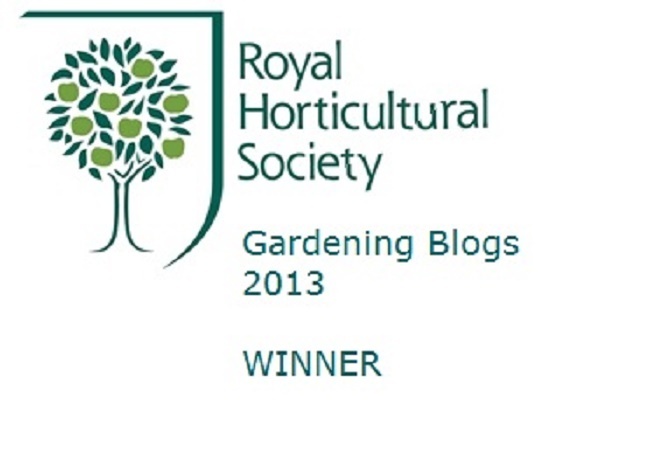 So my blog will be about the 90 gardens that I intend to visit. Blwyddyd newydd dda Dave. Very nice photos. Very bad wasps. You need to cover more skin more securely, it seems. I’ve probably had no more than half-a-dozen wasp stings in my life. 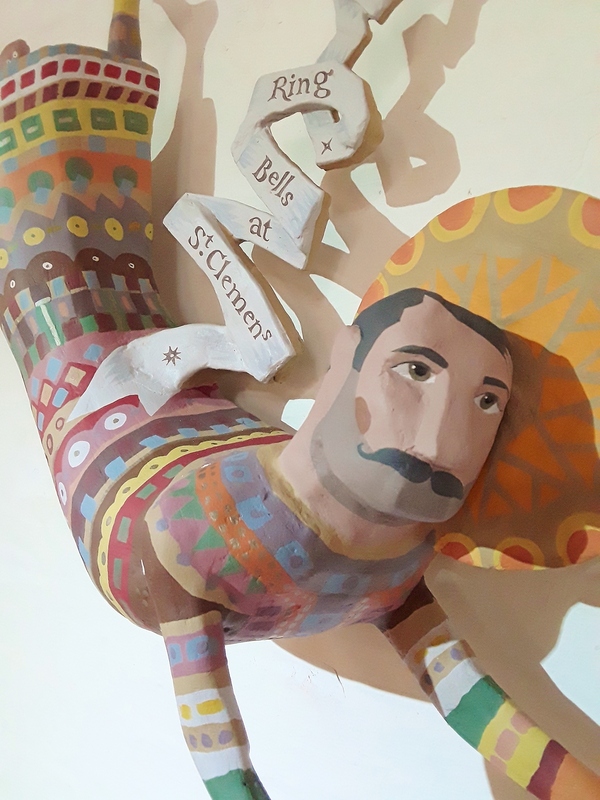 We won’t mention the three bee stings again! We had our first real frost of the season last night. 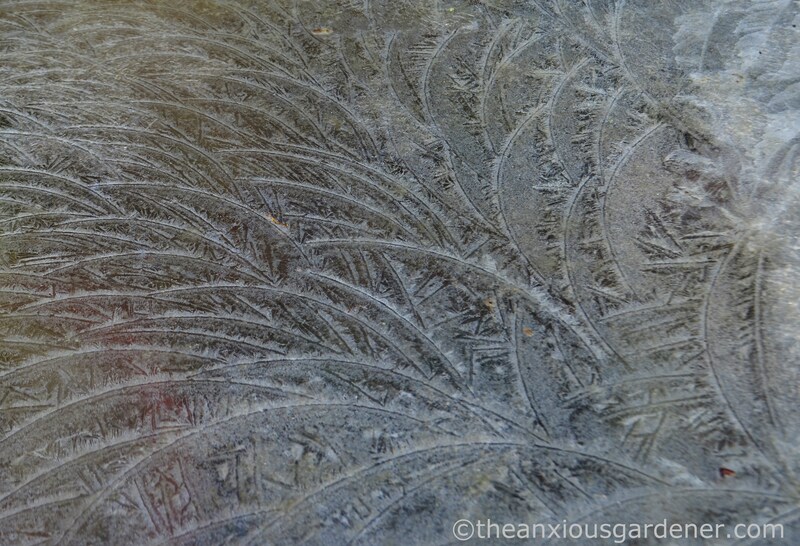 Oddly, the min temp at the front of the house was -2C and I woke to some lovely ice patterns on the car windows. The min at the back of the house was +3C. No frozen water anywhere; no frost on the grass. Odd. Incidentally, in case you haven’t been told, I’ve replied to the questions in your reply “over there”. was on a pleached lime hedge but nothing on your scale. Bad luck indeed with the wasp stings! Lovely to see some (unexpected) winter foliage. Yes… as another commenter said, he’d not had as many in all his time gardening, so sure there will be no more for you! It looks gorgeous, Dave—those winter colors (esp. on the beech hedge!) really glow in low-angled sunlight. I’m glad it’s all yours to enjoy again. Well, just you and the wildlife. (Stupid wasps.) We often get freezing temperatures but rarely actual frost—it’s just too dry. So at least I’m spared the urge to take my hands out of my pockets to hold a camera until the sun’s nice and warm. You’re a hardy soul! Oh, if only I had managed to find that invisible but surprisingly intimate red line in Australia. I angrily waved my arms (/brooms/watering cans) around at mulch-kicking turkeys and fish-eating kookaburras and got as close as I dared each time…but still they looked at me with distain, confusion and absolutely zero fear, as Paul collapsed in hysterics, offering no assistance whatsoever. Perhaps I will have more luck with English birds??! Were sailing in the Bahamas now and feeling a bit homesick for winter. Your mild winter looks so beautiful. 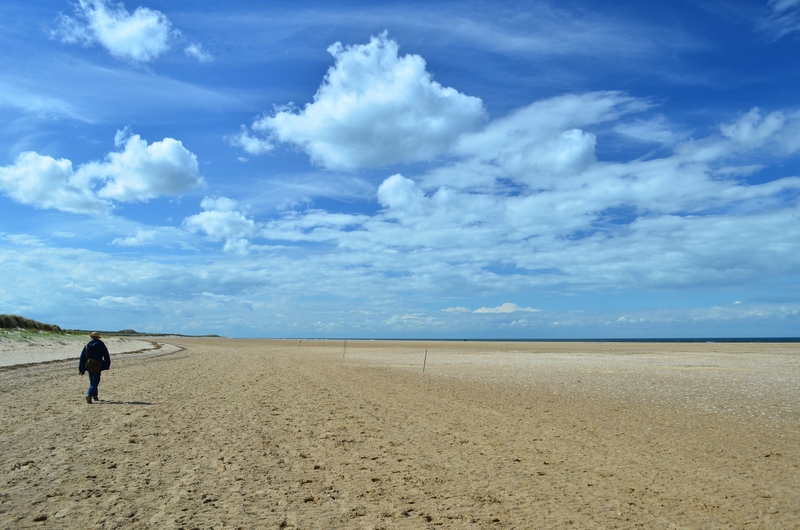 Happy New Year, thank you for sharing your beautiful piece of England. Goodnight wasps! Happy new year David. In my gardening career which spans more than 35 years I have not encountered as many wasp nests as you. However I remember one incident whilst working for the Royal Parks in Kensington Gardens outside the infamous Iran embassy (which made the SAS well known). I was raking a border of leaves when the dreaded mini tornado of wasps emerged from the ground resulting in about twenty stings before I outran them. Unfortunately my boss was also a bee keeper and if I had been pregnant or a young child he would have sent me home after a medical check.As I did not fit in these categories he sent me back out to work. Nothing like a bit of sympathy eh. 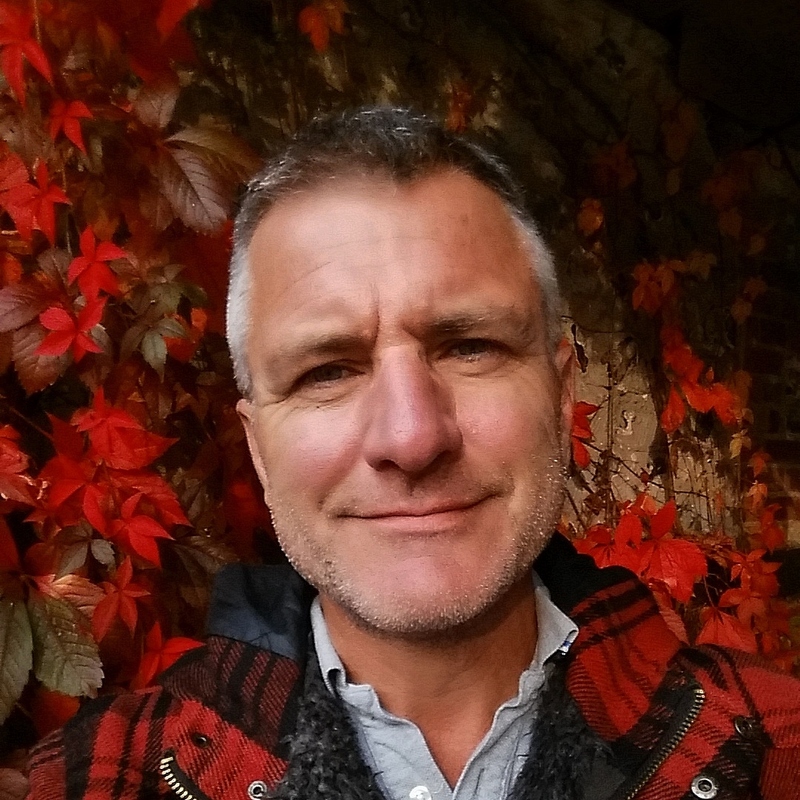 John (Garden Displays). Each time I step outside first thing on a frosty morning to top up the bird feeders I am in awe of the beauty around me. When there’s no wind, it doesn’t even feel particularly cold – simply breathtaking in a good way. Our winter jasmine seems to flower on long shoots. How do you manage to keep yours so neat (after its regrowth) and still have a mass of flowers, please? Have we simply got the wrong variety? Any advice would be welcome. Thank you for your reply. I guess we’ll just to be a bit (or a lot) meaner with ours. I can see why you love the garden David. Wild life in the garden are a blessing and a curse, although I wouldn’t want to be without them. (Even wasps)! 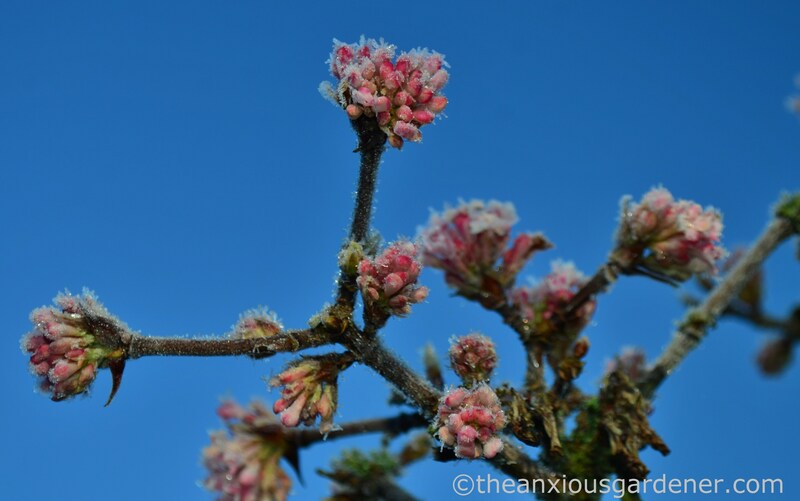 The email telling me there is a post by The Anxious Gardener is like a present, and it is never disappointing when unwrapped. Quite stunning, we are still leaf raking and clearing up the garden, it’s a never ending task, as our leaves didn’t finish falling until early December. Maybe you will get the snow forecast this weekend, we even have some promised down here in SW France! 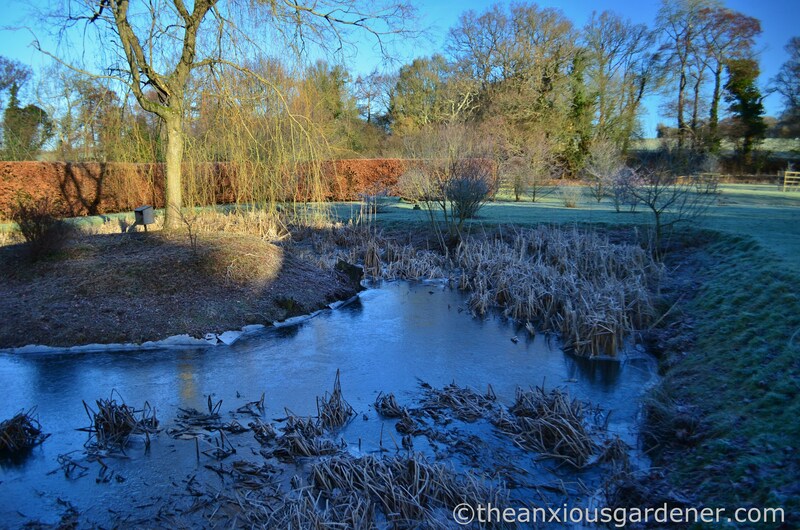 Last week we had heavy frosts, this week it’s mild and damp and next week more ice forecast, it’s quite a fun winter! 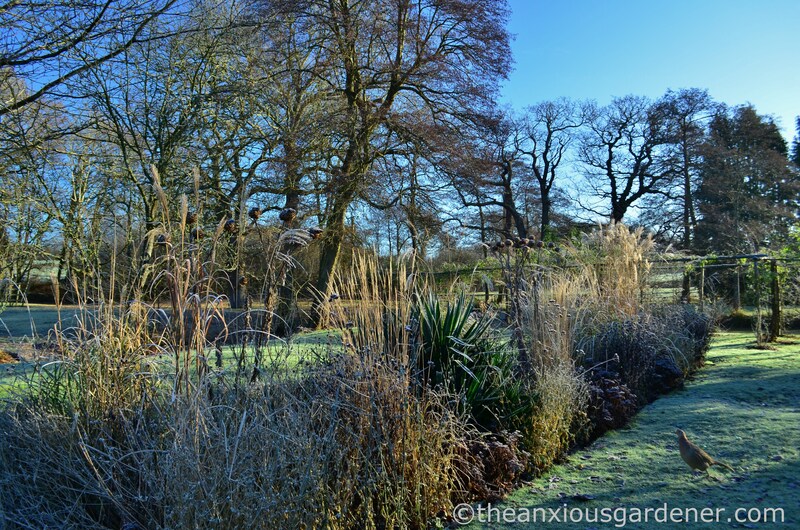 The beauty of a winter garden is very much unsung. 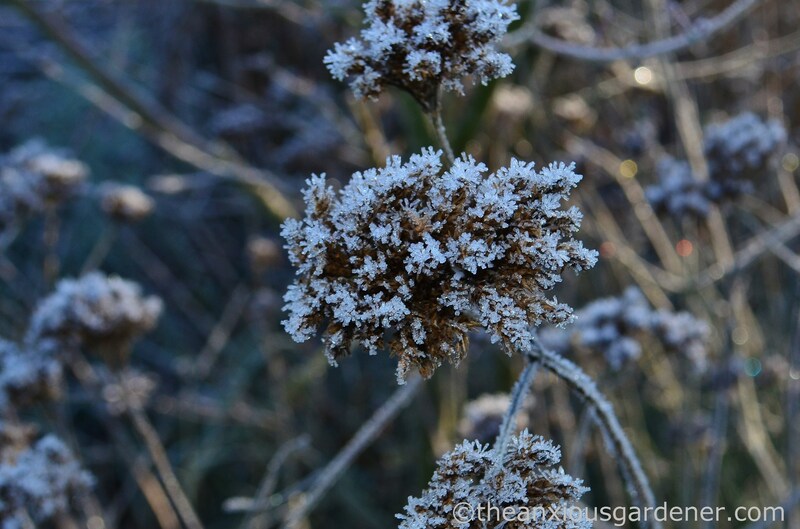 Even without specific winter planting, seed heads, grasses and the remains of decaying plants look stunning touched with frost. 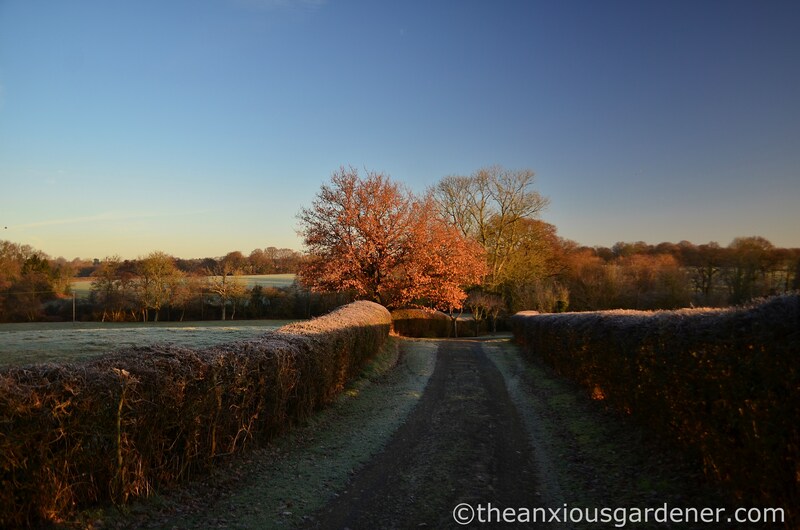 Rather than cowering inside from the cold, I think we should all take your example; wrap up warm and appreciate our gardens in winter. Unbelievable beautiful – I hope the pheasant stays with you out of harms way! Beautiful David, the tranquility comes across so well in your photos. 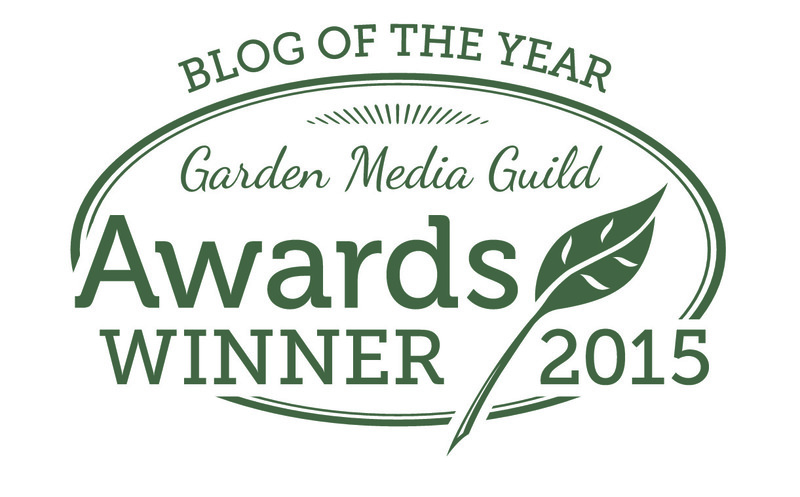 It’s lovely to see what looks good now too, great inspiration for those of us trying to remodel our own gardens!